Super Sceptical New member, Almost here just to prove to myself this doesn't work! Sorry but only being honest. Still to prove that one way or another I need to give it an honest go, with that in mind, I'll give a more detailed description of myself. About me? 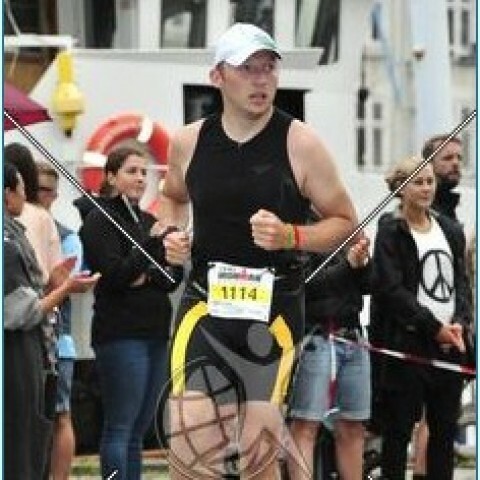 I'm a Professional web developer with a passion for hurting myself through extreme endurance sports, namely Ironman Triathlon. Hi sgreg! Thanks for follow. I am following you also. I started WA in 2014 but only got serious about it in October of 2018. Just read your profile. You can read about Donna and me by clicking on my picture here. You have come to a big family that will teach you everything you need to know about making money online. A big welcome from me to Wealthy Affiliate! Glad to have you on board. When you get to my profile page scroll down to far bottom right to see my websites Where it says "follow me on:"
Your success here will be directly proportional to the efficiency and level of your effort. If you anticipate failure you will fail. The reverse is alSO true. I am relatively new here but am attesting to the integrity of this site. WYSIWYG! Thanks for the follow and best wishes for your success. Thank you sgregcrx! I read your profile and several of your posts. It has been a real eye opener for me and has shown me how much I must still learn before expecting to make a profit with my website. Your posts are a real education of the steep learning curve I must climb. Thanks for not quitting! Your posts have helped me a lot! Thanks for the follow and look forward to your success at WA. This is not a get-rich-quick scheme. It IS the best learn and earn platform on the internet. You will find many, many reviews on YouTube or Google touting WA. I only been here few months and my site is awesome. And I was a complete newbie! Wow... interesting read you have here Greg and wonderful to meet you. Now that you have been here for a couple of years, I'm really glad to see you are still here. I'm glad you are making sales. Wow, Ironman Triathlon... that is really quite an accomplishment and requires much focus and determination, the desire not to quit. I've been doing Bootcamp which is definitely nothing like what you are doing... at least I don't 'hurt' myself to that extreme. Oops... I'm sorry I called you Greg. I believe your name is Steve correct? 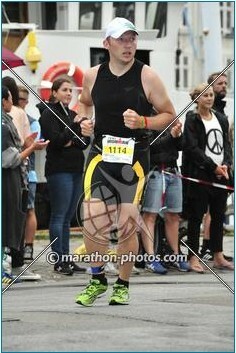 Ironman Triathlon was the Niche for my first site and was a great learning curve to get me started. But I decided it would not be profitable so reverted to my real love (me, and triathlon have a love-hate thing going on lol ) Travel. It now is my big aim to make a go of the site so Travelling the world can stop being a hobby and be a job. Lots of opportunities to dive amazing place then! The only way to do that is to keep on pumping out content. Ironman Triathlon is actually really cool and you could diversity into equipment, exercise, health foods, etc. I'm with you on the travel for sure and it compliments well of course with diving and you will do very well on it. Yes... keep writing Steve and it's fun too. Hi Greg, thanks for the follow and I guess that your skepticism has eroded now that you have been here 2 years or so? I am super optimistic about what I am doing and learning here and looking forward to a bright future. Scepticism has eroded as sales have come in. Now making Regular income but still a lot lower than I want. ~$200 a month, on a site that is approx 18months old with 120 pages and posts. Its a long slow process but it does work, looking to build up and up! Hello Stephen,♫Welcome! I am so pleased you found WA. Nice to meet you ツ I wish you a lot of learning pleasure and fun at WA. Thank you for adding me to your network. Hi there Stephen! I see you are still here...so that means it's not a scam and it works :)) Congrats! I love when skeptics are converted lol, but I also admire their willingness to try before dismissing. So, that's quite honorable. Let's suceed together on this excellent platform. Great bio...so you've been a member for a year now; how are things going for you? Still skeptical? I know how expensive flying is. My husband was a pilot and we had a 4 seater Cessna that was great way to travel instead of driving. I'm always sceptical! However I am pretty convinced the training here at WA does work. It's not really a scheme or any short cut its simply a way to allow you to work hard and reap the rewards. It might not work for everyone and does rely on your own hard work to get thing off the ground. But the right idea matched to the right commitment and writing talent will definitely see success. Wow Would love my own plane, No more Traffic jams! I wasn't skeptical about this. I just wondered if it was right for me, if you know what I mean. I like the value here, especially if you go the annual route. I've tried blogging on Bluehost and Inmotion before. All the little requirements for security and back-up start adding up. Plus there's no training other than Google or Youtube. Here, I can ask for help and get it instantly. Thanks for making me a part of your network! Happy flying! Nice to meet you and welcome to Wealthy Affiliate premium members community! My name is Ali and I've joined WA some while ago. Going premium is a great decision that you have ever made and every step that you are taking forward from now, leads you to achieve your dreams. Just wanted to shoot you a quick message and see how things were going thus far Stephen? I am here to help if you ever need a hand with anything, just holler! Sounds like you are pretty driven. You can go pretty far with that. With that being said, this is no get rich quick scheme. It does take a lot of work. The more work you put in, the more you get out. I spend most of my free time modifying, updating and improving my sites. The more I do with them, the more views I get. Mind you, I also have my ad on google as well, along with a facebook group. Every way you can get your product and name out in the online world the more views you'll get and then with more views the more chances you'll have of some one buying something off of your site. It's possible, with the right content and determination... this money making skill will work.